Ivanka Trump, daughter of United States President Donald Trump, is currently accompanying his father on his first foreign trip since coming into office. During their recent stay in the Saudi capital of Riyadh, Ivanka Trump made a controversial statement about the situation, praising Saudi Arabia’s progress on women’s rights. "Saudi Arabia’s progress, especially in recent years, is very encouraging but there’s still a lot of work to be done and freedoms and opportunities to continue to fight for," she said Sunday at a women's roundtable in Riyadh. For many the statement was quite surprising since there are still a lot of restrictions for women in the Gulf monarchy, including a strict dress code, a ban on women drivers and makeup. Men and women are not allowed to stay together in public places, only if they are not relatives or a married couple. Moreover, women are not allowed to participate in sports events. Finally, punishments for women for disobeying the norms are much stricter than for men. Many human rights activists and social media users were confused by Trump’s statement. She also did not clarify what kind of progress she meant. Meanwhile, the statement was welcomed by Riyadh. Saudi Arabia and the United Arab Emirates (UAE) pledged to contribute $100 million to the foundation proposed by Ivanka Trump. According to CNN, the donations to Women Entrepreneurs Fund, which will be run by the World Bank, were agreed upon on Sunday. 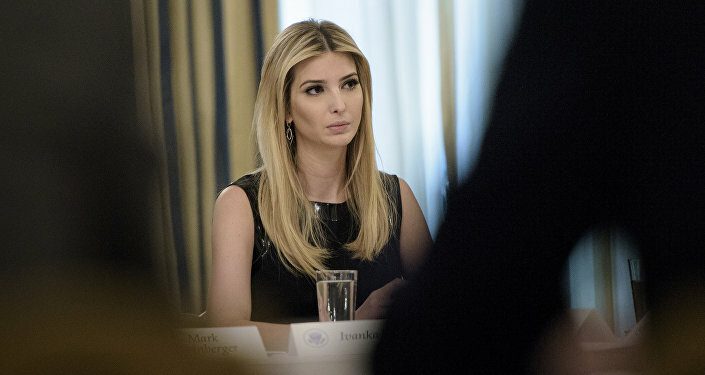 The concept of the foundation, announced by Ivanka Trump in April, outlines providing financial support to female entrepreneurs. However, such generosity did not confuse the daughter of the US president. 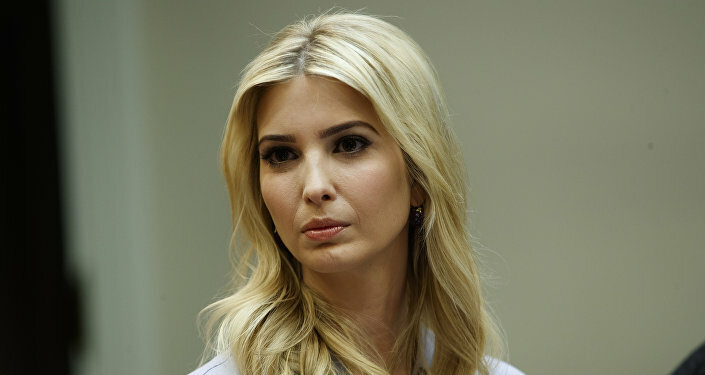 Earlier, Ivanka Trump pledged she would not run the fund and would not raise money for it while on duty in the White House. During his campaign, Donald Trump regularly lambasted the Clinton Foundation for accepting donations from Middle East regimes with a terrible human rights record. "Saudi Arabia and many of the countries that gave vast amounts of money to the Clinton Foundation want women as slaves and to kill gays. Hillary must return all money from such countries!" he wrote in a Facebook post in June 2016. The New York Post also reported that Trump allegedly planned to initiate an investigation into the activities of the Clinton Foundation. Despite repeated questions about a possible conflict of interests, Ivanka Trump continues to play an important role in her father’s administration. For example, it was reported that Donald Trump’s decision to launch a missile strike on a Syrian air base in April was heavily influenced by her daughter. Moreover, her influence reportedly resulted in appointing another Goldman Sachs top manager to Trump’s team and the fact that the alt-right, including Stephen Bannon, has completely lost its influence in the White House.